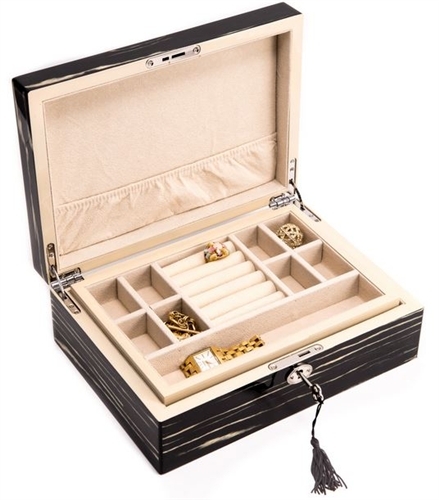 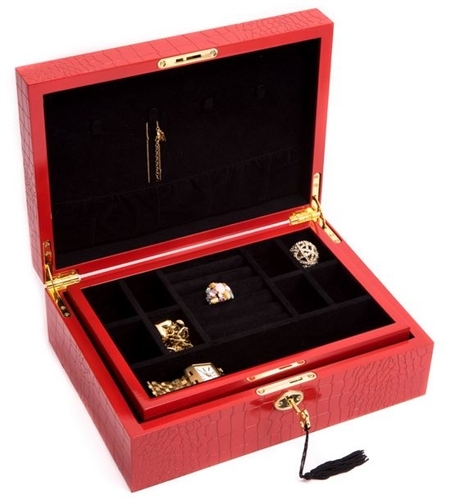 Fully locking wooden jewelry box with valet tray comes in Exotic Ebony, Luxurious Red, or Classic White. 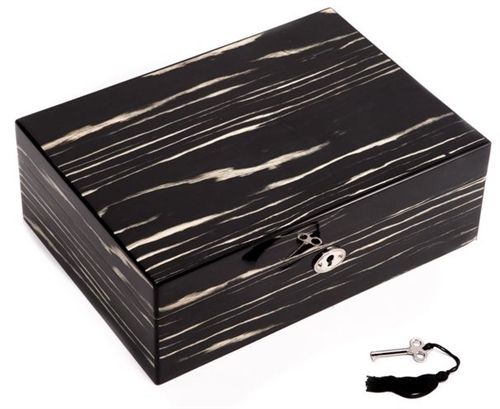 Tasseled key ensures your treasures are kept safe, and the removable tray lets you easily access your necklaces and keepsakes below. 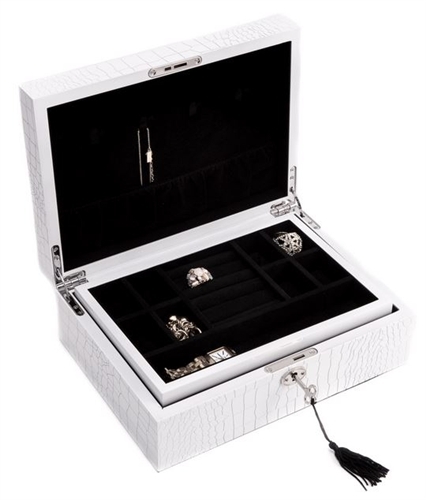 A perfect gift for her!